Nora hasn’t contacted Westallen in two weeks. There is a robbery at an art museum. The police are chasing two guys on motorcycles. Barry catches one of them. Nora goes after the other one. Iris tries to talk to her but gets cut off. Nora catches the other motorcycle guy, but Barry has to clean up her mess, again. 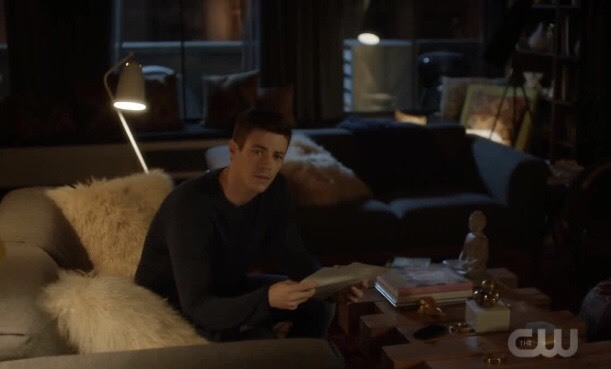 Westallen has a family meeting. Iris and Nora get into it and Iris storms out. 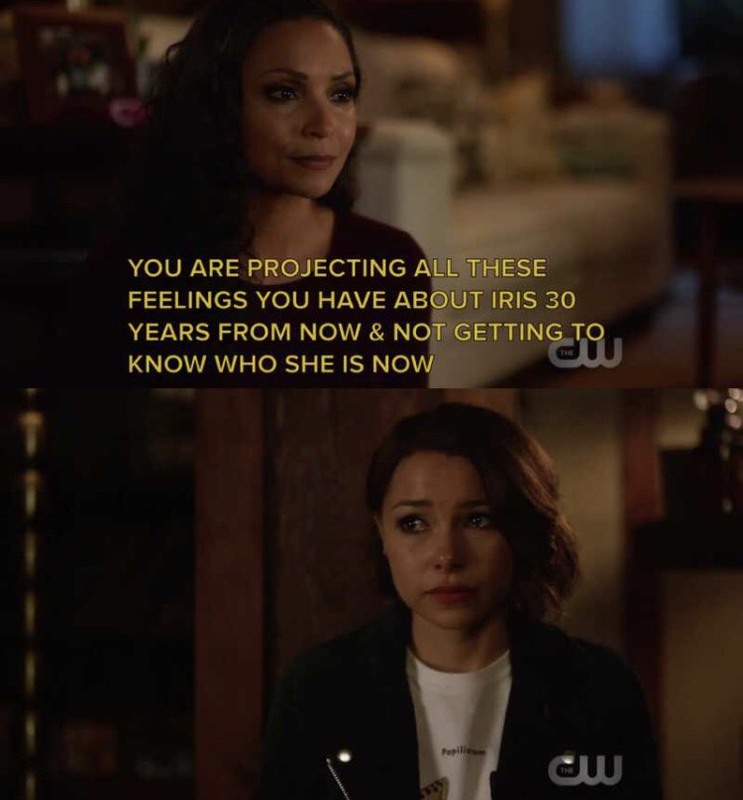 Barry tells Nora to see Iris as she is, not as who she might become. The rest of the team, including Cisco, talk about Cicada and Caitlin’s dad. Sherloque has a new map radius for Cicada might be. Cisco vibes the message Caitlin found from her dad. He sees an office with a chalkboard. There is a yellow ID on the desk. Sherloque deduces Hudson University. Apparently Caitlin’s dad knew Professor Stein. Cisco’s hands still hurt. A man is giving a woman an extremely expensive necklace. They then go into the next room. A man contorts himself out of a box and steals the necklace. He has a creepy as hell doll face and hair. The woman sees him leave. Barry is at the crime scene. Iris is too, interviewing the couple. He’s so happy to see her and convinces her to team up on the case, date style. Nora is complaining to Cecile about Iris. Cecile isn’t having it. She decides to exchange information about Barry for chores. Sherloque, Cisco, Ralph, and Caitlin are in Stein’s office. 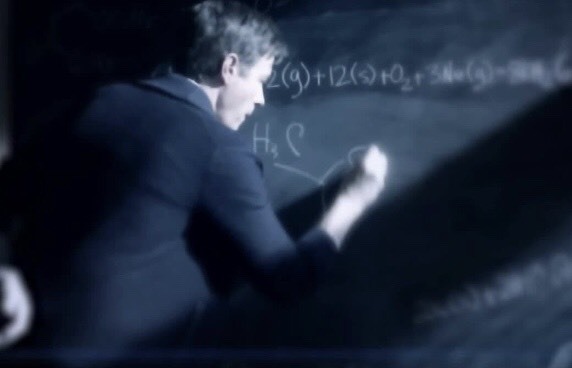 Cisco vibes the chalkboard. Caitlin’s dad was writing the chemical formula for ice over and over again. There was a sketch on the desk that Cisco couldn’t quite make out. Sherloque deduces that it was Khione, the Greek goddess of snow. This all leads to Killer Frost. Caitlin is afraid that her dad left because of Killer Frost. Cisco vibes the sketch and it leads him to an old chemical lab. His hands also start bleeding. Barry and Iris haven’t found a DNA match on the hair Barry found. An architect name drops Gotham while Mr. Creepy as Hell is in the vent system. There’s a bomb threat at Seaver Architecture. When Barry gets there, he sees Mr. Creepy in the vent before the building explodes. He gets the regular guy out and Mr. Creepy walks-ish out. Barry tells Iris about this. The guy’s prints contort as much as he does, so when Barry decontorts the prints, he finds a match. His name is Peter Merkel, the son of billionaire Theresa Merkel, who is coincidentally holding a gala tonight. The rest of them are in the lab. It’s been torched, but there are links to Caitlin’s mom’s company. Cisco tries to vibe and passes out. 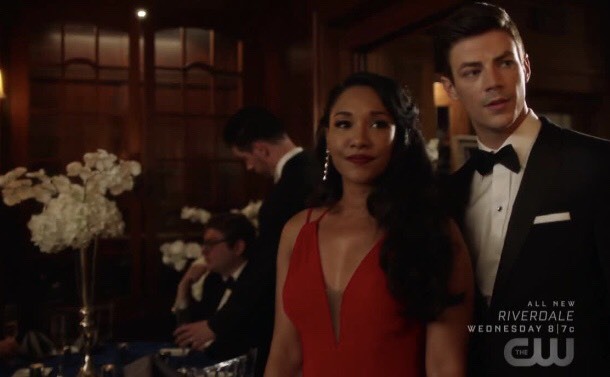 Westallen is at the gala, and they look amazing. They find Theresa Merkel, and she allows them two minutes to ask questions. Iris asks about her son. She hasn’t seen him in two years, when she had him arrested. Iris wants to go home after they’re done, but Barry convinces her to dance. At least until she excuses herself. Barry follows her out. Iris is afraid that she is just like Theresa Merkel, who gave her son everything, but wasn’t enough. Barry tries to cheer her up but can’t. Also, Peter Merkel is watching. Cisco wakes up in the infirmary. Caitlin tells him that he still has remnants of Cicada’s dagger in his hands. They then bond over losing their powers. They both still have value as themselves, even without powers. Iris is looking over Merkel pictures. Barry finds her and they talk. She’s afraid of becoming her mother and that she’s doing the same thing Joe did when he lied about her. Barry tells her that worrying about the future is useless. She has to get to know Nora as herself, as she is now. He suggests that they go home, but she has a lead. Cecile and Nora are still talking. She tells a story about a boy who lost his parents. Barry sat with him at lunch every day for a year and then wrote a page about him in the yearbook. He finally smiled. The story was about Iris, not Barry. She’s been telling stories about Iris. She tells Nora to give Iris a chance. Cecile even gives Nora Iris’s baby book. Barry gets a video call from Iris. 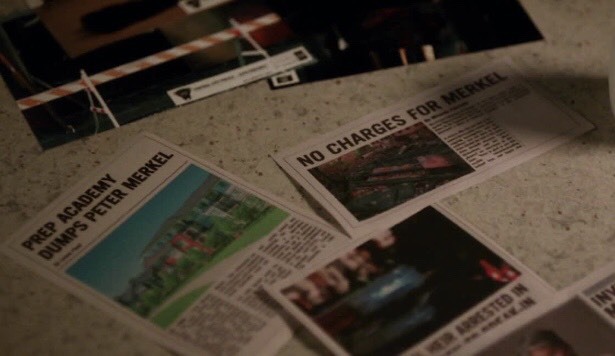 Peter Merkel was taking the things important to his victims. He then kidnaps Barry. Iris tells the team. Sherloque broke the extrapolator, but Ralph has an idea. He Spidermans Iris to the roof where Barry is being held. I know that the writers had no way of knowing that Stan Lee was going to die Monday, but this was as good of a Stan Lee tribute on DC television as we will get. Barry wakes up on top of said building tied to a chair with meta cuffs on. Iris and Ralph show up. Nora finally answers her phone. Peter Merkel pushes Barry off the building. Iris jumps after him, and somehow manages to unlock the cuffs so that Barry can speed them both away. Nora sees it and is insanely impressed. Ralph lands on a car and Peter Merkel is inside him? Everyone else is extremely impressed with Iris too. Ralph gives himself a little credit. Cisco dubs him Ragdoll. Iris and Nora talk while looking at the journal. Iris wants to know her, no holds barred, and they actually start to talk. Barry eavesdrops. Sherloque and Ralph have an idea. There is a way that Caitlin’s dad could have used Caitlin’s mom’s company without her knowing. Tanhauser has black sites. Cisco uses Devoe’s satellites to track him, but Caitlin is afraid. This should have been the Halloween episode. I don’t do scary. I don’t watch horror movies and I watched this in the middle of the night. This is not my thing, entirely subjectively. 6/10.